[The Chromebook] is a device people with low computing needs might deem good enough. It’s capable for mail, web browsing and light office work; and for most people, that’s all they ever need…You know what else is excellent for low computing needs? Tablets, which have already been eating into the PC market for years for precisely that reason. If Chromebooks didn’t exist today, I suspect more tablets would have been sold in its place instead of Ultrabooks. Education for children of that age is also relatively basic — it’s about teaching them where and how to research information (browser), how to type (keyboard) and how to write reports (Google docs) — and for that Chromebooks are perfectly adequate. You don’t need anything more advanced (Office) until later, where a similarly priced Windows machine might make more sense. What doesn’t make any sense are iPads. iPads are consumption devices — what would you need to teach about consumption to kids? Here’s a videogame you should play? Here’s how you watch videos? Here’s how you use Facebook? Why would you teach a child how to type with an onscreen keyboard instead of a real one? Add to it the fact that iPads cost nearly twice as Chromebooks, and it just boggles the mind that iPads are doing well in schools at all. Along with the Nexus Player, which disappointed, Google’s Nexus 9 was also recently released and reviewed. It’s been described as having an OK display; good but not jaw dropping performance; above average speakers; nice feel but with small, noticeable flaws; and generally not something that beats the iPad given its $400 price. Lollipop is awesome as expected. Is the 9-inch display the best of two worlds, or the worst? Is the Nexus 9 an appreciably good productivity device? Mini tablets exploded at a time when 3.5-inch iPhones and 9.7-inch iPads were what’s most popular. 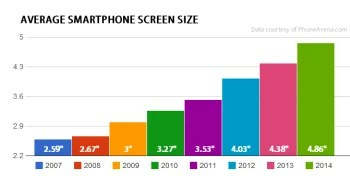 There was a big gap between these two sizes: the iPhone was highly portable, but the screen meant bite-sized consumption; iPads were better for Internet browsing and games, but it was too large to easily carry around. Mini tablets fulfilled a market gap — a computing device small enough to hold with one hand that offered a better reading experience than phones could provide. Microsoft will hold an event on May 20 to debut the mini version of the Surface. Rumor has it that in addition to the Surface mini, Microsoft will reveal a new SKU. CNET reports that SKU to be Intel-based. A true Windows experience on a Surface 2 form factor would be ideal for many who need the OS. However, I echo Paul Thurrot in hoping that the screen size of this new SKU is 13-inch and upwards. In fact, I think the entire tablet industry should go in this direction. Usage for tablets can be divided into two categories: one-handed and two-handed.